Fast, Efficient, & Precise Dental Care. An enjoyable dental experience depends on your comfort and safety. With our modern dental technology and up-to-date techniques, you’ll receive care that is minimally invasive and often virtually pain-free here at Torrington Dental Care. This is the way dentistry should be! 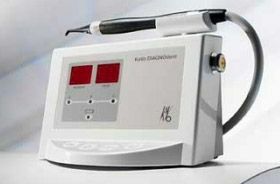 Lasers are quickly becoming the future of dentistry and for good reason! 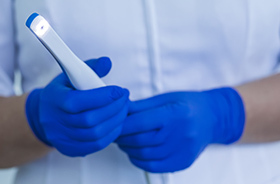 Unlike traditional tools, these state-of-the-art instruments can treat natural tissue much more comfortably and safely – many patients don’t even require any local anesthetic throughout a procedure. 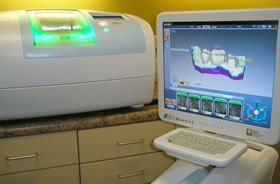 Here in Torrington, we utilize the Biolase Ezlase dental laser mainly for procedures involving the vulnerable soft tissue, including aesthetic gum recontouring, periodontal disease treatment, and more. When planning specialized, intensive procedures like surgical dental implant placement or root canal therapy, our team uses revolutionary Cone Beam technology for exceptional precision. 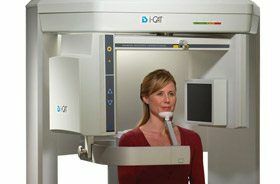 This type of X-ray technology creates a comprehensive, three-dimensional view of a patient’s teeth, jaw, and related oral structures, mapping out even the smallest details so that there are no surprises during treatment. With it, we can address even the most complicated treatment plans with full confidence! X-rays are a vital part of dentistry because they allow our team to view damage and abnormalities that may be well-hidden beneath the outer surfaces of the teeth and gums. 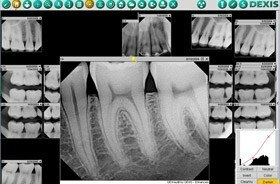 We use digital radiography because of its advanced benefits when compared to traditional film. No darkrooms are required – images can be captured and available to view in mere seconds. Additionally, any radiation exposure is dramatically reduced to a minimum for exceptional patient safety. The development of cavities is a gradual process and one that our team hopes to catch in its earliest stages, so we can preserve as much natural tooth structure as possible. 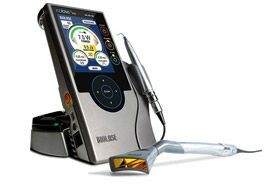 DIAGNOdent goes a long way towards helping us accomplish this goal, using wavelength technology to precisely identify even the smallest areas of weakened enamel, as well as burgeoning cavities in hard-to-reach areas of the mouth that aren’t accessible to the naked eye. Intraoral cameras are highly valuable diagnostic tools that provide big benefits not only to our Torrington dental team but to our patients as well. The high-quality images this camera captures can be viewed on a chairside monitor in the operatory, allowing us to discuss our findings with you more clearly and help you make genuinely confident decisions regarding your smile’s care. 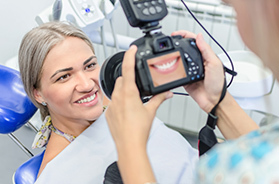 At Torrington Dental Care, we regularly utilize digital photography for several reasons. These images allow our team to more accurately diagnose dental conditions and track our patients’ progress regarding oral hygiene or the effects of certain procedures. Better yet, we can adjust your smile’s image to match the changes that certain cosmetic procedures could create, helping you feel secure in your decision to undergo a smile makeover. Now, instead of having to wait for multiple appointments to rebuild damaged teeth with custom-made restorations like dental crowns, our patients can achieve beautifully personalized, high-quality improvements in just one visit to Torrington Dental Care. E4D™ technology simplifies every stage of traditional treatment – including impressions, design, and milling – into a much more streamlined process without skimping on the quality you deserve.